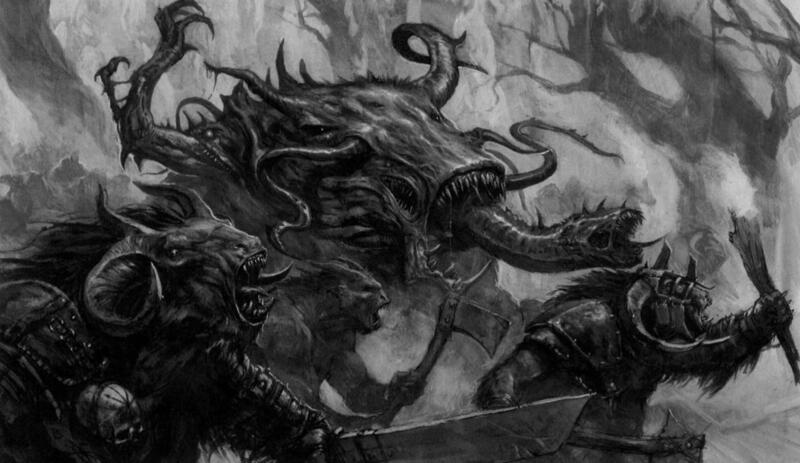 Hey TGA, I am a long-time collector but seldom-player of Beastmen, now known as Beasts of Chaos. Back in the Old World I rarely played since the rules never lived up to the models for me, but now that AoS is ascendant I am having a blast with my Beastmen. 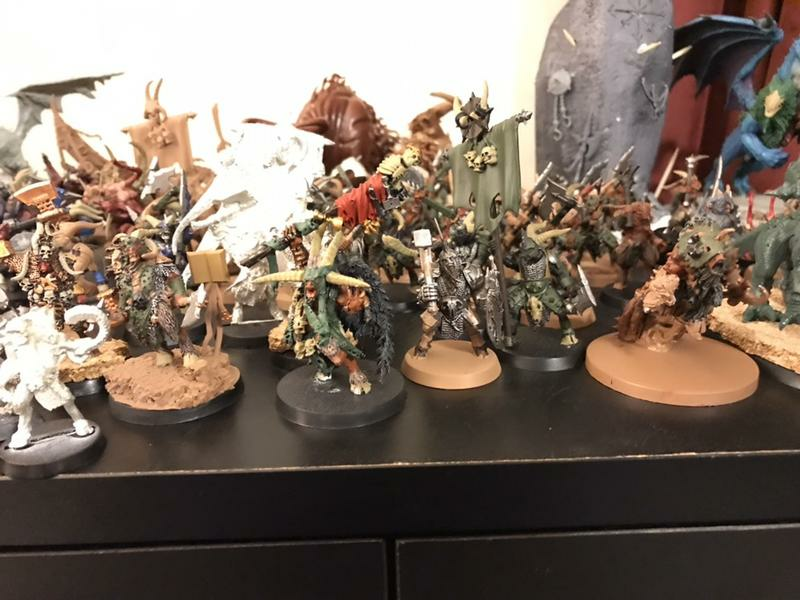 I am writing this blog to chronicle the progress of my horde, the Twisted Drove, and to hopefully inspire myself to paint and play more with these little monsters.  There are a couple 2000 point events coming up in May that I want to have 2000+ points painted for (the list plus any potential summoned units) so I'll be posting paint jobs, army lists, battle reports and anything else that might sound like fun. For starters, here's a few pics of my furred throng and a list totaling most everything I have. Like I said, I've been collecting these guys fro a long time, so they are in varying states of being painted/assembled. It's going to be a slog getting these guys ready for the spring but war is coming and the Twisted will be prepared! 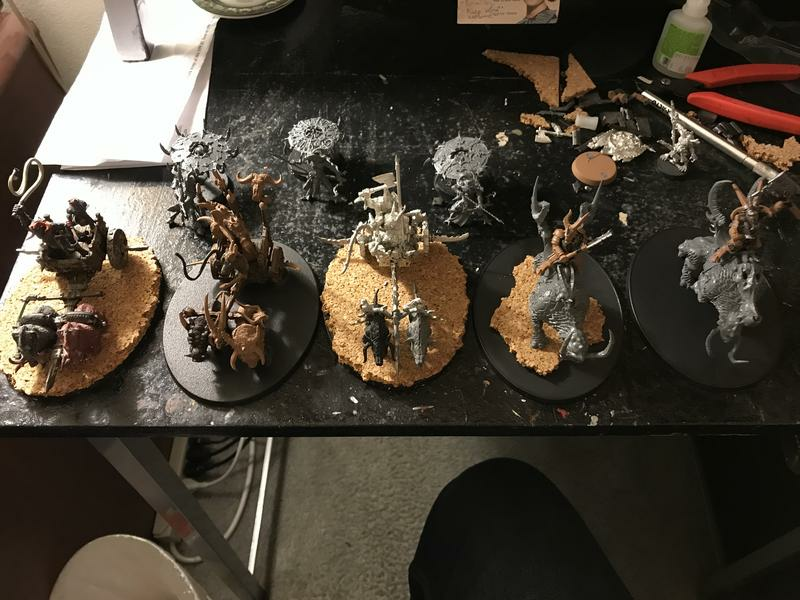 I just finished assembling 3 Skyfires and 5 tuskgor chariots last night. The chariot on the left is an old orc chariot from the 6th ed itionstarter I've had since, well, 6 ed. The base is new tho. The next one is Gorthor the Beastlord's chariot, which sadly is now just another regular chariot. The center one is an old Warriors of Chaos chariot with Khornagors, and the last two are my newest additions, a pair of Rhinox-riding Bestigors. All but Gorthor's bases are new and I'm excited to try out this chariot spam the internet is crazy about. 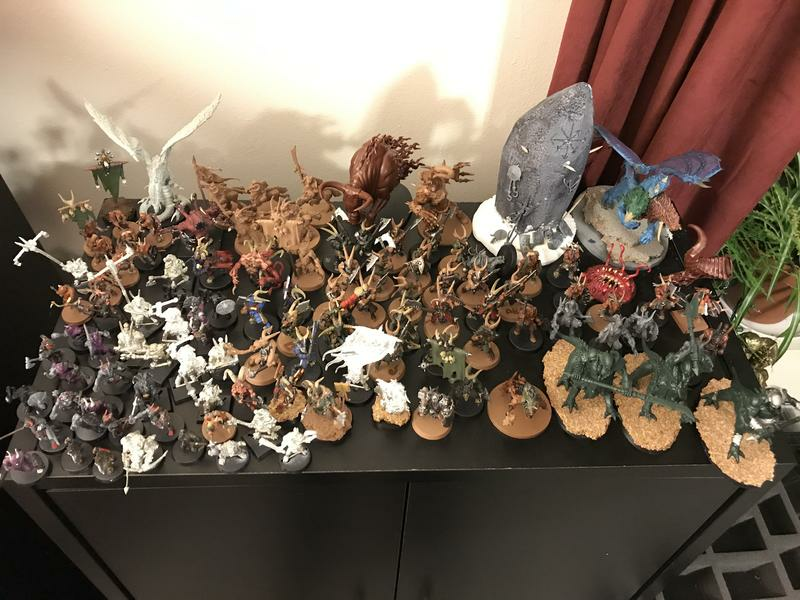 This is most of my Beasts collection, save a score more Gors. I'm thinking a green and brown color scheme for most of them, very classic "woodsy" palette. I like the concept of the Gavespawn so I've added in some conversions as well as find some older, weirder models to throw in for variety. A closer look at some of the leaders of the Drove. That's all for now, but I'll try to post every week or so with progress pics, battle reports, or tactical musings. Thanks for reading and raise those herdstones high! Nice bit of walking mayhem you've got there. Just the way I like my beastmen, a unruly tide of beasts large and small pouring forward to tear down the world of Man.